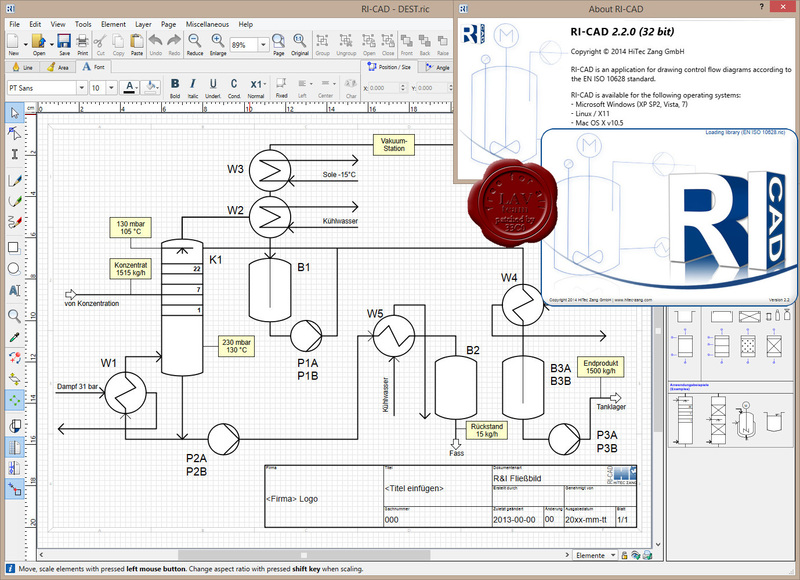 RI-CAD was developed especially for drawing norm compliant P&I flow diagrams. Glass and laboratory devices library. The libraries can be extended by custom graphic objects.